Smoothie King – Smoothie King offers nutritional and fresh blended smoothies complimented by sport beverages, energy bars, healthy snacks, vitamin supplements, herbs, minerals and sports nutrition products. 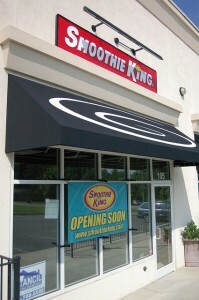 Smoothie King smoothies come in tons of flavors with many different purposes, whether you are looking to bulk up, slim down or just cool off. Owned and operated by Chris Magno and Brian Augustine.